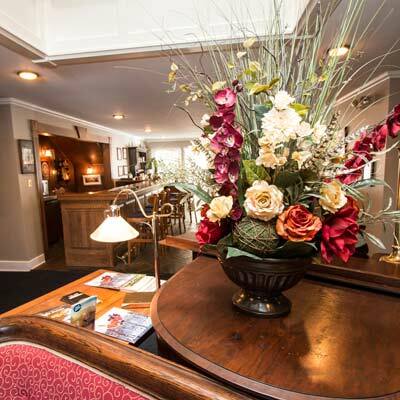 The Church Hill Inn is the perfect year-round destination for adults and children over 10. Whether you’re searching for culture, outdoor adventure, rest or romance, you will find what you are looking for in and around the Inn. Located in Sister Bay, the heart of Northern Door County, the Inn sits atop the Sister Bay Hill just before entering the downtown area. You will find acclaimed restaurants, fine shops and the Sister Bay Beach and Marina all within walking distance. Each morning our guests are treated to a full and fabulous breakfast. 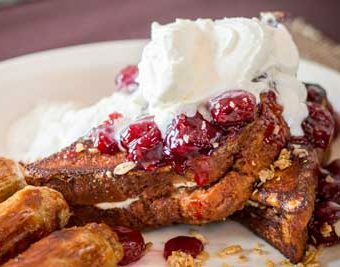 Enjoy fresh fruits, pastries, hearty Inn-made granola, creative hot entrees and scrambled eggs along with fresh juice, hot coffee or tea. During our peak season, complimentary appetizers are served in our lounge area daily. Grab an English Ale from our Honor Bar and enjoy meeting new friends or reminiscing with old ones. What makes our Inn special? Guests rave about the breakfast, the excellent service and friendliness of the staff, the English themed guest rooms and antique furniture, but most of all they seem to treasure the warmth and serenity that makes them feel right at home. Our 34 uniquely themed guest rooms offer the amenities of today with the elegance of the past. Full breakfast is included with each night’s stay, and is prepared daily by our Innkeeper, Mike. 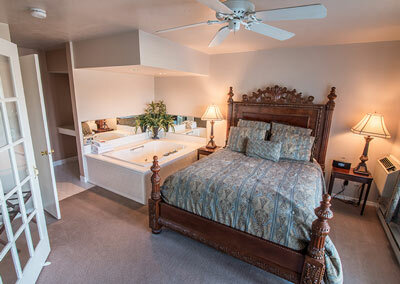 On our lower level, you’ll find a full exercise room, indoor jacuzzi, and available on-site massage therapy.